Proprietary Name: Rocky Mountain Spf 30 What is the Proprietary Name? Non-Proprietary Name: Octocrylene, Avobenzone, Homosalate What is the Non-Proprietary Name? 72667 - Inspec Solutions Llc. Rocky Mountain Spf 30 with NDC 72667-007 is a a human over the counter drug product labeled by Inspec Solutions Llc.. 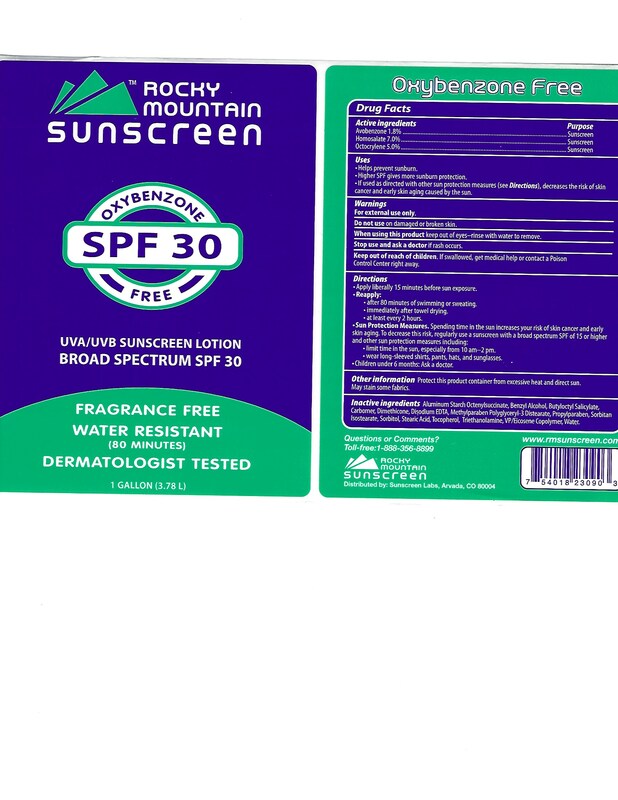 The generic name of Rocky Mountain Spf 30 is octocrylene, avobenzone, homosalate. The product's dosage form is lotion and is administered via topical form. Labeler Name: Inspec Solutions Llc. Start Marketing Date: 02-11-2019 What is the Start Marketing Date? When using this product:• keep out of eyes. Rinse with water to remove.• Keep away from face to avoid breathing it.